Hill spent seven memorable seasons in Toronto, ones that he will not soon forget. 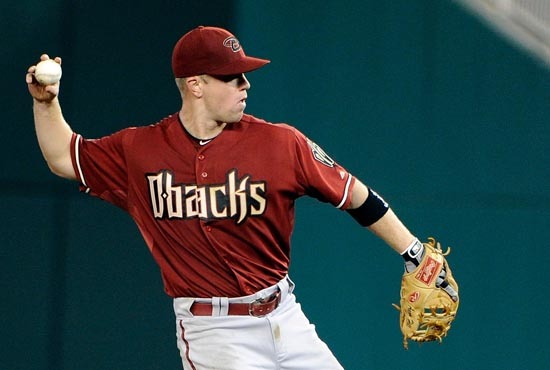 Hill’s time in Toronto came to an end last week when he and veteran infielder John McDonald were traded to the D-backs in exchange for Kelly Johnson. He played in 875 games as a Blue Jay while hitting .265 with 96 home runs and 409 RBI during that time. Hill’s banner season came in 2009 when he crushed 36 homers, 37 doubles and batted .286 en route to his first All-Star selection. His hot hitting also earned him the Silver Slugger award that season. Now Hill is a D-back and joins a club that holds a three-game lead in the National League West standings, heading into Friday night’s matchup against the Padres. With 31 games left in the regular season, Hill is now granted the opportunity to compete in a pennant race for the first time in his career. The transition has included a cross-country move from Canada to the Valley of the Sun. Since he joined his new team on the road, Hill is still trying to adjust. Regardless of the start of the D-backs’ six-game home stand Friday at Chase Field, Hill is no stranger to the Valley. Although he’s spent his entire career in the American League East, Hill and the Blue Jays visited Arizona last summer.